Leelavati, the daughter of the famed astronomer Bhaskarya Acharya of Ujjaini, is a beautiful woman with a thirst for knowledge and a bad birth chart when it comes to marital options. She is nurtured and encouraged to learn by her parents and her father allows her to teach at the observatory. Bhaskaya Acharya, worried for his daughter, builds a water clock so as to ascertain and auspicious moment that would allow his daughter to get married. But due to an accident, the clock stops working and the moment passes by without anyone being any wiser. On the other hand we have our hero, the rich and handsome and brave Rahul, who is prepared to marry her irrespective of her birth charts. 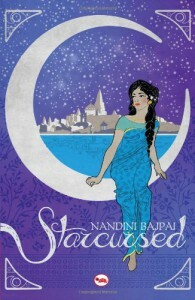 But Leelavati is in two minds… will these star-cursed lovers ever find their happily ever after? Leelavati is an adorable character who shows strength and vulnerability at the same time. Rahul is also up to his part of a leading character. I liked Leelavati’s father a lot. He is progressive and really loves his daughter. The other supporting characters are also all very well placed and developed. The storyline is not something outstandingly good, but it exceeded my expectations from the book - especially with the twist at the end. The only thing that I can think of that needs a bit improvement is the narration style which is about average and slows down the pace a bit. The highlight of the book is the way that the author has managed to portray the lives of people in Ujjaini during that period. The caste systems and the status of women in those days are portrayed very well. 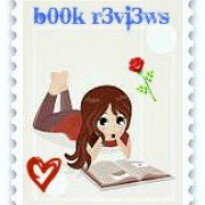 Overall I enjoyed reading this book and would definitely recommend it to people looking for some quality IWE books.